Premier Food Packaging Inc. presents their range of free-standing plum cake paper molds for the professional baker. Plum Cake Paper Baking Molds are eco-friendly and super convenient. Eliminating the need for metal baking pans, these paper baking molds allow you to bake at a reduced temperature, right in the same non-stick disposable unit that also serves as packaging for sale or gift of your baked goods. 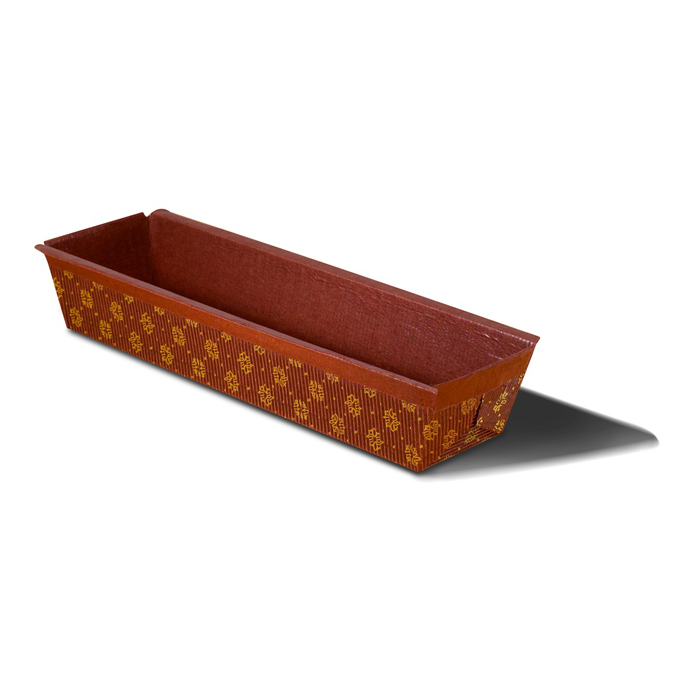 Made of rigid food-safe dark brown corrugated cardboard, these pans have a non-stick interior coating for superior release of your treats, and a lovely gold floret print for added visual appeal. Easy to use as loaf pans, bread baking pans, cake baking pans and more.